Baltimore Sanitation workers are getting some help taking out the trash, and it comes in the form of 'smart trash cans'. Just like smart cars, smart houses, and, of course, smartphones, smart trash cans also are designed to make garbage collecting better and easier. Earlier this year, Baltimore awarded a $15 million contract to a Korean company to install 4,000 smart cans in the city. The plan started with 15 bins they installed in the South Baltimore and casino area, and now the city will show off those new cans Monday afternoon. These smart cans are so smart that the cans will let sanitation workers know when it's time to empty them! The solar-powered cans come with Wi-Fi, which allows it to send information when it's full to prevent overflowing. Each trash can also acts as a trash compactor, so it can make more room until it needs to be emptied. 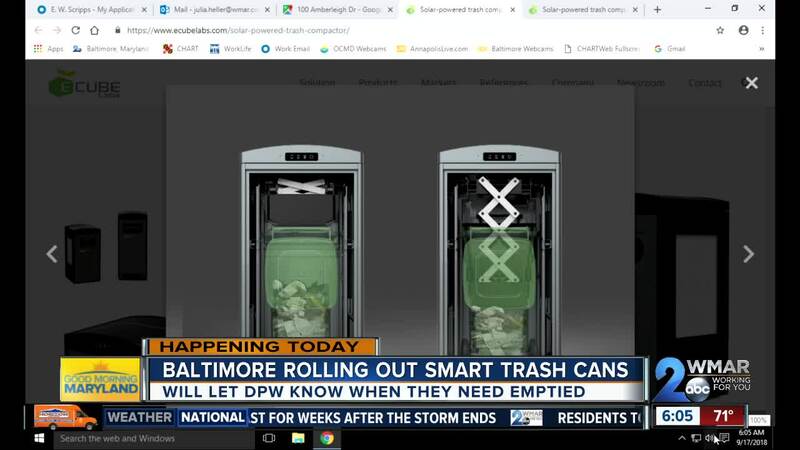 The hope and expectations are that these smart cans will make trash collection more efficient, keep Baltimore clean, as well as keep rats at bay.